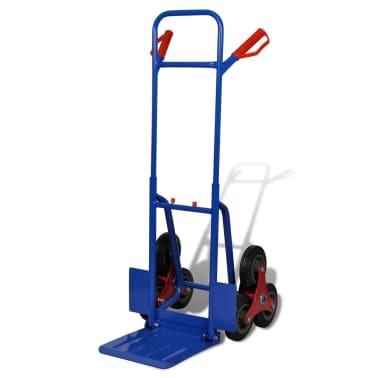 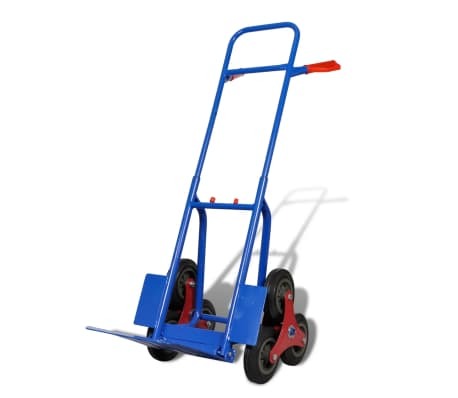 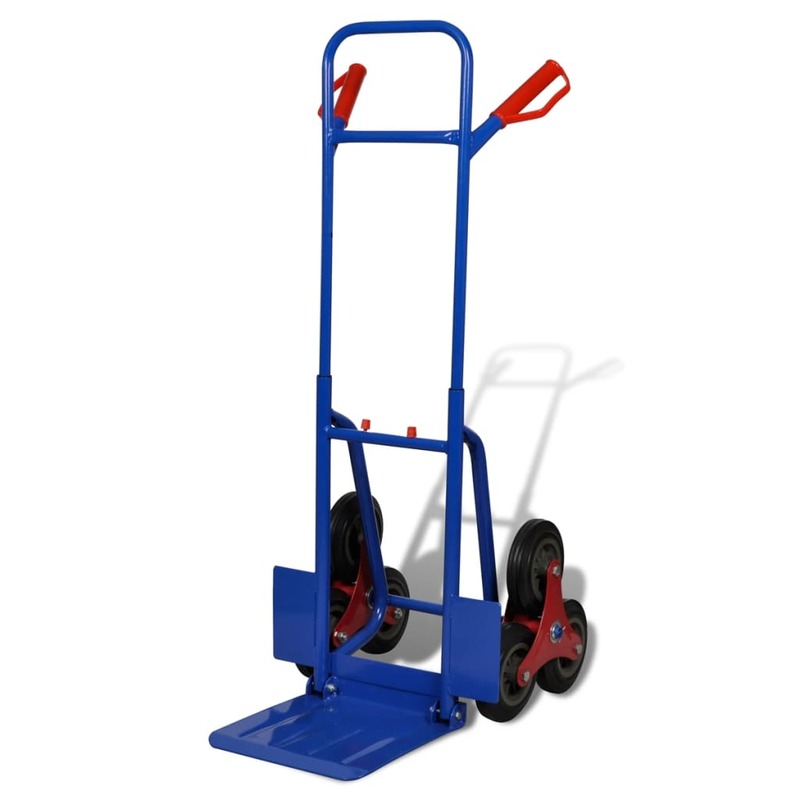 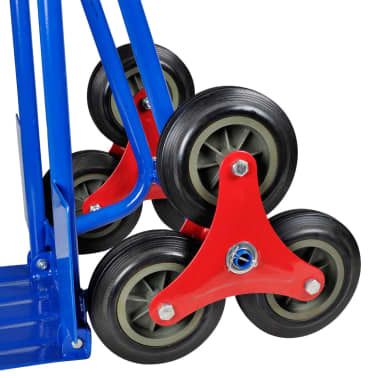 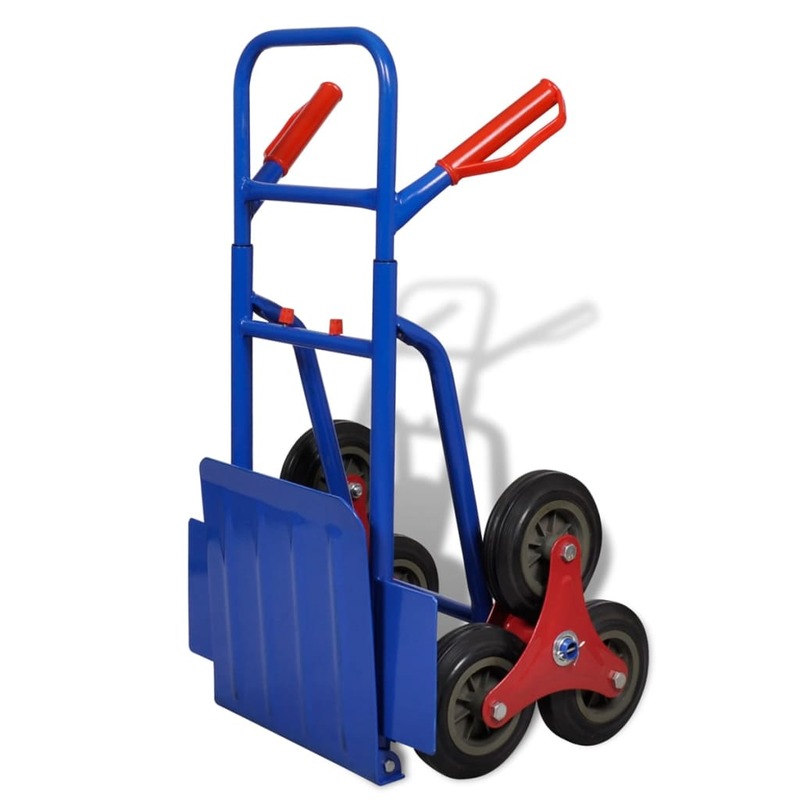 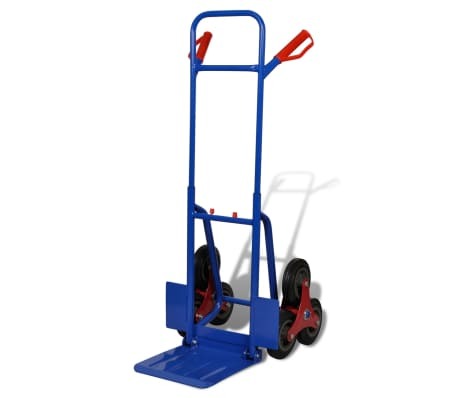 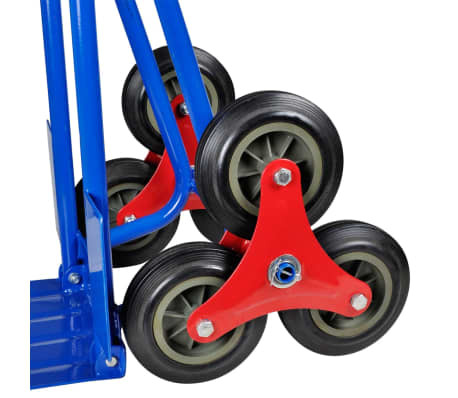 The sack truck with six wheels enables you to manoeuvre cargo up and down stairs, pass bumps and chuckholes, as well as on flat surface with ease. The sturdy steel frame and high-quality rubber wheel ensures the stability and durability. 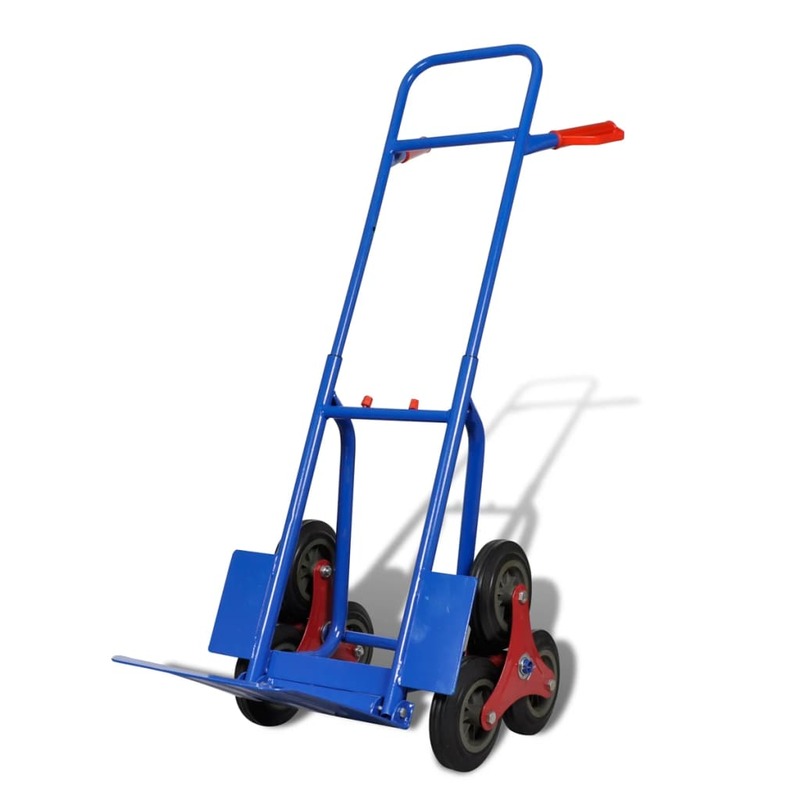 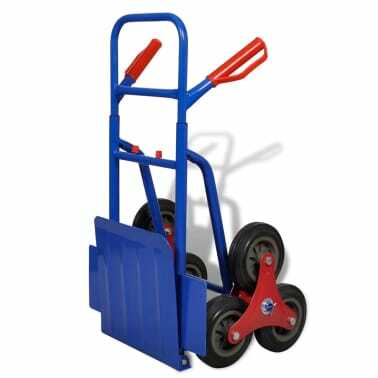 Instead of a one-off stair climbing truck, this sack truck is an ideal transport assistance for carrying cargo for possible period of want or need. 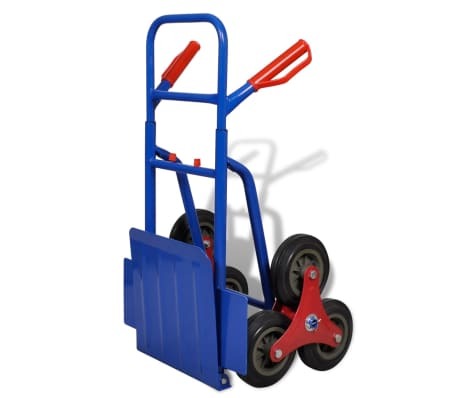 Fold it for easy storage when you do not need it currently.